Robert Rockwell has many years of experience as a teacher and administrator at preschool, elementary, and college levels. He is in demand as a speaker and has traveled and conducted workshops throughout the United States, Europe, and Australia. He has been a frequent guest on radio and television programs advocating for young children and their caregivers. 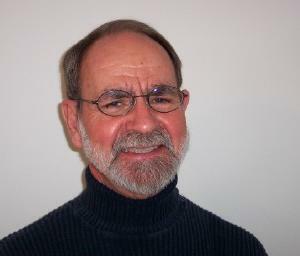 Currently, Robert is professor emeritus and former program director of the early childhood education program at Southern Illinois University, Edwardsville. He has experience as a speech pathologist, teacher of the hearing impaired, and as an administrator. He has been a research consultant for the University of Chicago and has also served as a Head Start director. Robert is a prolific writer with many published articles and books available throughout the world. He is currently the science section contributor for Children and Families, a quarterly magazine published by the National Head Start Association. Robert Rockwell lives in Belleville, Illinois. "An unusually fine collection of family workshops dramatically organized to include children as well as parents. While their children are engaged in interesting activities, parents are developing an understanding of child growth and ability. Importantly, what they experience can be transferred to the home." "I like the science content standards and process skills are included. Arrangement by age makes lessons easy to apply. Lessons use common items that are available to teachers. Nice index in back."